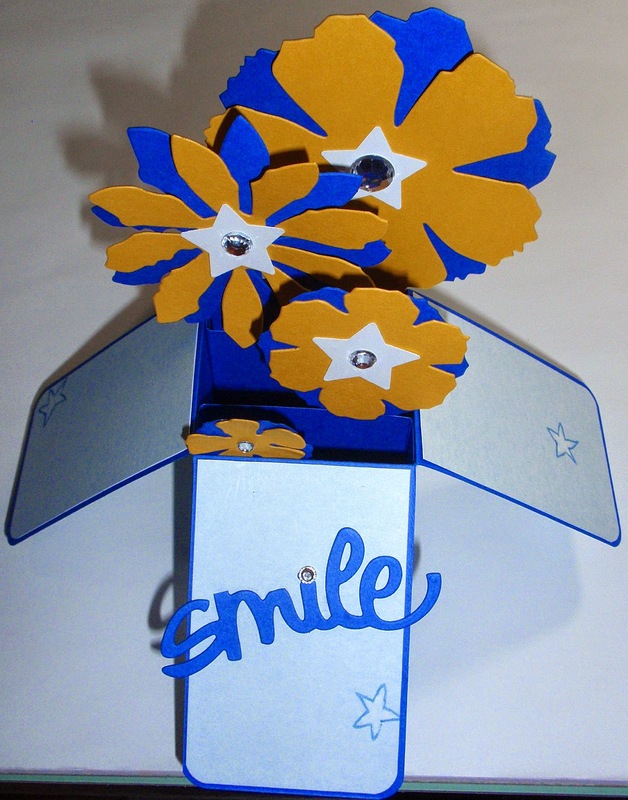 Krafty Kards' Kreation: Tutorial - Smile...it's a card in a box. Tutorial - Smile...it's a card in a box. Smile...it's a Card in a Box! yes, I know I am late in trying it, but better late than never! and I thought I would put up a quick tutorial on it for you. 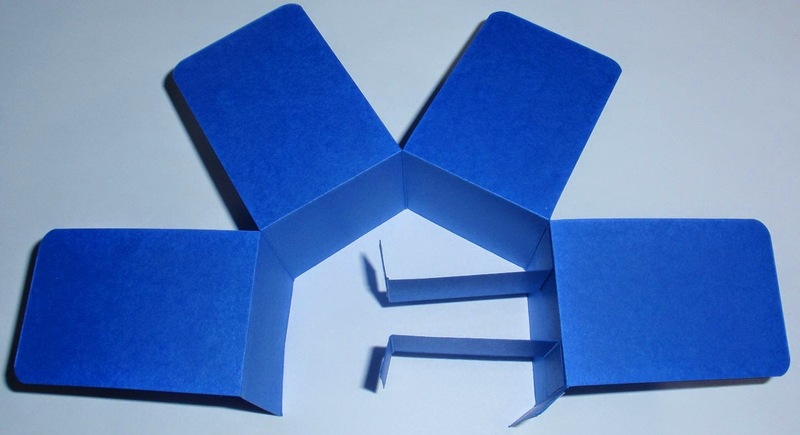 It's a pop-up box that fold into the size of a regular card so you can mail it! 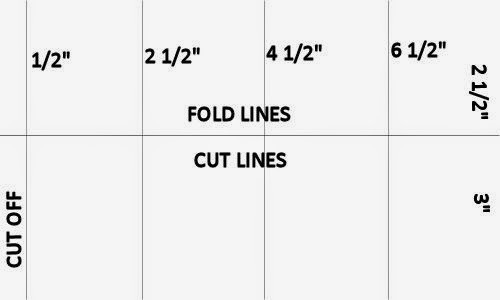 Here are the dimensions to help. The page is 8 x 5 1/2"
You can click on any of my pictures to make them bigger for more details. 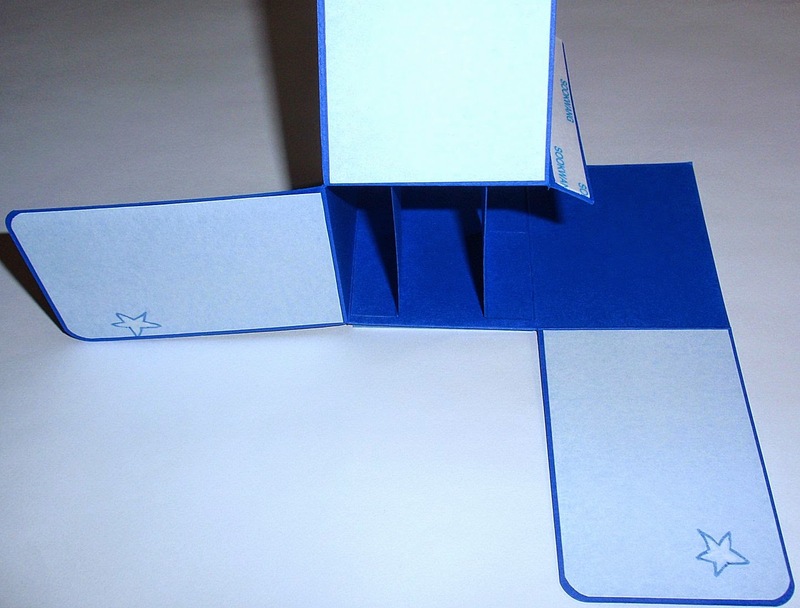 After I cut and folded the paper, I rounded the cut flaps. 1" x 3" and scored 1/2" at each end. 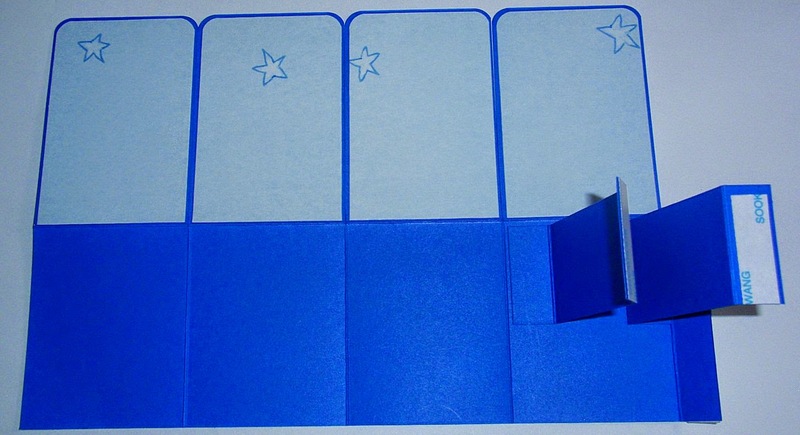 Also, put sticky tape on the 1/2" flap on the folded side. Here is how it looks standing up. 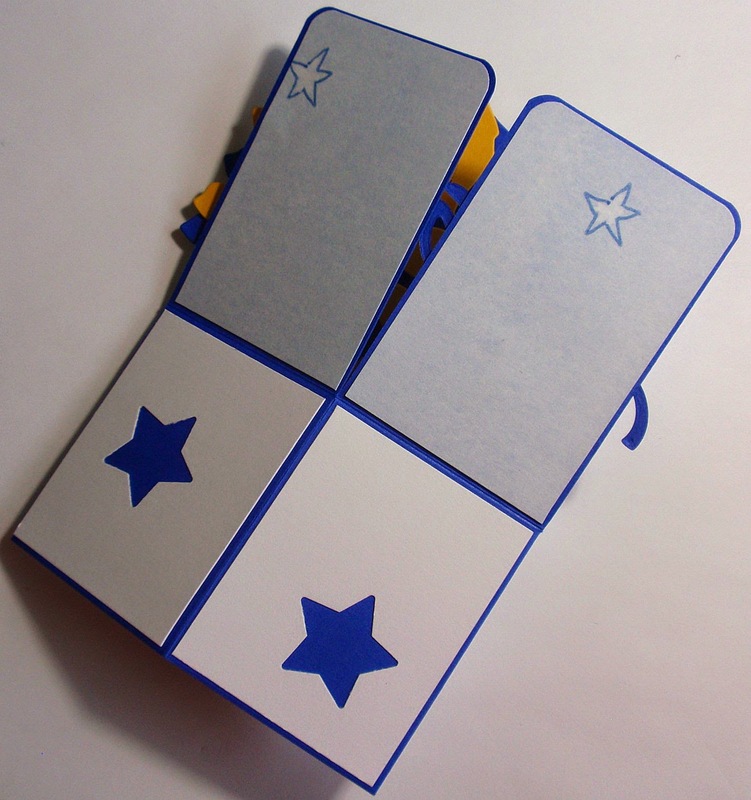 I then decorated the cut flaps with paper. And decorated the bottom flaps as well. Now to assemble the box. The two pieces in the middle, attach to opposite side. 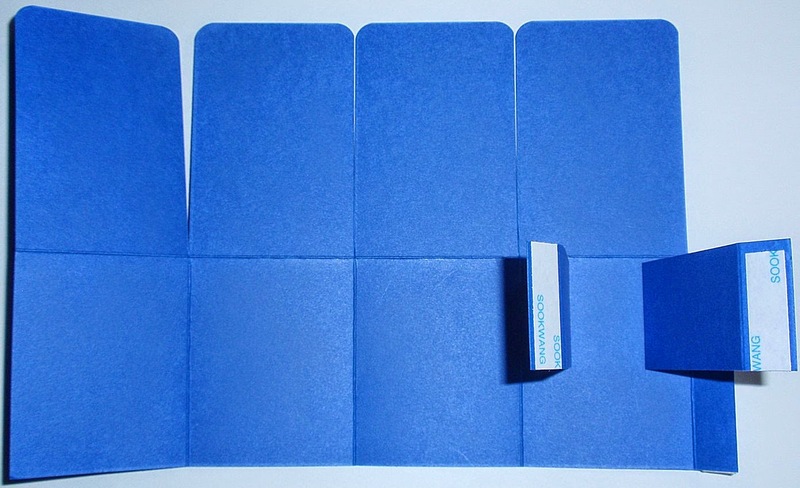 The 1/2" flap adheres to the back side. Next, I die cut some flowers and attached them to the middle pieces. 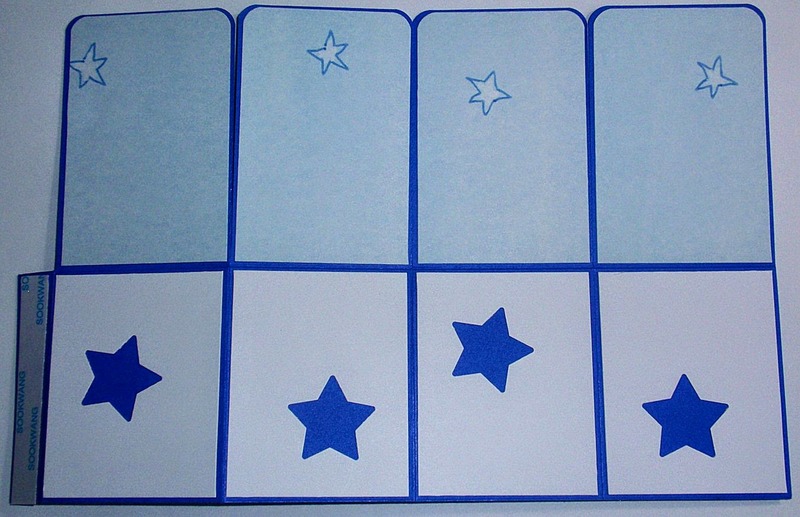 To make the back flowers rise, I put paper pieces on the back of them them attached them to the middle so they would be higher than the front flowers. Here it is folded, ready to be put in an envelope and mailed away!